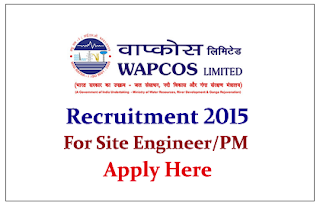 WAPCOS Limited is recruiting for the Post of Project Manager and Site Engineers. 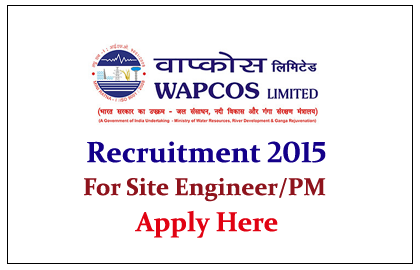 Eligible candidate can apply here on or before 25th July 2015. Company Profile: WAPCOS Limited is a “MINI RATNA-I” and “ISO 9001:2008” accredited Public Sector Enterprise under the aegis of the Union Ministry of Water Resource, River Development & Ganga Rejuvenation, Government of India. How to Apply: Interested and eligible candidate can apply along with CV on or before 25.07.2015. For more details kindly check official notification.